A top-selling real estate agent and broker since 1972, Ron is consistently among the top 10 Coldwell Banker associates nationally, on an annual basis. Ron has built two luxury homes and has many years of experience in remodeling and upgrading properties to realize the highest return on investment. Ron makes each of his clients feel like they are his only client; he is always available to listen, coach, collaborate and advise. 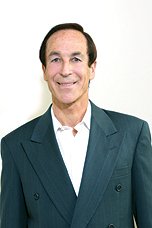 Ron’s thirty plus years of experience selling homes in upscale parts of Los Angeles positions him with a vast network and many ongoing professional advisory relationships, producing a flow of prospective, qualified clients. He is known for his savvy negotiating skills and creative approach to turning the impossible to possible. To further Ron’s ability to provide the best possible customer service to the community, Ron formed a new partnership with two other outstanding Coldwell Banker/Previews brokers, Steve Sawaii and Fiora Aston, known as WSA. Together, they collaborate and create innovative solutions for their clients based on their 91 years of combined Westside real estate experience. WSA is a unique brand within the Coldwell Banker/ Previews brand. In late 2010, Ron formed a new Coldwell Banker/Previews partnership, Wynn, Sawaii and Aston. 30 Years Later… And I am Just As Excited!!! I don’t just love what I do……I do what I love! I enjoy working with people and always hope to be able to make a difference in their lives. My enthusiasm and energy are due in part to the pleasure I gain working with people. This energy and enthusiasm is contagious, creating a wonderful environment for negotiating between buyer and seller. It is all genuine and sincere. I want your experience of buying and selling a home to be pleasant and effortless. I enjoy being personally involved in the transaction every step of the way, from beginning to end. Will your agent enthusiastically promote your home! Not only am I enthusiastic about real estate, I am enthusiastic about the neighborhoods I represent, the homes I represent and the people I represent. I have very strong feelings for the Westside! The Westside has great appeal due to its proximity and convenience to shopping, outdoor recreation and cultural venues evident on the Westside. The Westside boasts an array of charming older homes and quiet tree lined streets. Our climate is to everyone’s envy. We are close enough to the beaches to enjoy calm year around ocean breezes. There is so much to do on the Westside. People want to move here to experience this splendor. My true heartfelt commitment to our wonderful city is what creates my relentless passion. I want you to be able to sit back, relax and know you are in the hands of an accomplished professional who has lived in Los Angeles his whole life. In today’s market, it is not just about putting a home into escrow, it’s about staying on top of every little detail, relating with people in their “busy world” and keeping passionate about what home ownership is all about. Buyers do not buy a home on a regular basis. The “in escrow” process can be an anxiety causing experience. Buyers need a lot of handholding to feel comfortable. My calming demeanor and good listening skills help with overcoming obstacles and keeping everything in prospective. I am enthusiastic about our neighborhood. I still believe real estate in our area is a bargain. You can count on me to take care of all the details. My cell phone is always available to you: (310) 963-9944. Call me anytime.